Over the course of six years as Chief Operating Officer of the Department of Development for Montgomery County a 59-year old Germantown man embezzled close to $7 million of taxpayer money, and last week he plead guilty to some of his crimes. The recent guilty plea to wire fraud and making false statements on his tax returns took place in the Greenbelt federal courthouse. Sentencing is set for February of next year, and he faces up to 20 years in prison for the wire fraud count and 3 years in prison for lying on his tax returns. According to the U.S. Attorney’s Office the defendant must also plead guilty in the Circuit Court for Montgomery County to state criminal charges of felony theft scheme and misconduct in office. Finally, the convicted public official has a pending civil action against him that is scheduled for settlement conference the day before his federal sentencing hearing in Greenbelt. Pursuant to the plea agreement the former employee admitted that from 2010 to 2016 he unlawfully authorized payments totaling $6.7 million from the Montgomery County government to the bank accounts of fraudulent business entities he created. The payments were in the form of checks mailed to the addresses of the scam businesses and direct deposits sent to bank accounts he controlled. One of the fake LLCs even listed his home address as the main office. On top of stealing millions of dollars the federal government also prosecuted for failing to report any of the income on his tax returns, which resulted in $2.3 million in back taxes due to the IRS. As if this wasn’t enough the plea also required an admission to lying on his county financial disclosures by failing to reveal his interest in one of the fraudulent entities that was receiving government money. Government officials with the authority to spend public money are generally required to disclose their business ventures to prevent impropriety or the appearance of it, but this defendant was way past that point. This case brings up an interesting issue that we have touched on in the past regarding the crossover of state and federal prosecution. You’ll notice that the former county official did not plead guilty to theft in federal court because he did not steal federal property, and there is no general catchall theft statute in the federal code. 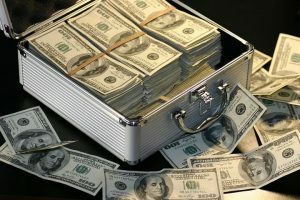 The feds commonly use wire fraud and tax evasion laws to prosecute activity related to theft and embezzlement, and in many cases these convictions would be enough to satisfy the state that justice has been served. But is seems in this case Montgomery County felt it wasn’t enough just to have their former employee found guilty of federal charges, as they appear to want their pound of flesh as well. Theft scheme over $100,000 is a felony under Maryland law with a maximum penalty of 20 years in jail, and misconduct in office is a common law crime with a maximum penalty subject only to limitations imposed by the 8th Amendment. The county could theoretically seek a consecutive state sentence for the defendant but this is unlikely. It is more likely that a state prison sentence would be suspended in order to assure that restitution payments are completed to the best of the defendant’s ability. Another common question that may arise in a case where a defendant faces state and federal charges for primarily the same course of conduct is the concept of double jeopardy. Double jeopardy though does not apply to cases that are prosecuted simultaneously by the state and federal government. The courts have ruled that dual sovereignty allows states to prosecute individuals for the same course of conduct that may result in federal prosecution. Washington D.C., the military and U.S. territories are not included, as they are not separate sovereign entities from the federal government. 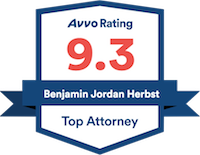 Benjamin Herbst is a Maryland theft attorney who practices criminal law in all jurisdictions in the state. He handles federal crimes such as wire fraud, tax evasion and money laundering, and state crimes such as misconduct in office, gun possession and drug offenses. Contact Benjamin anytime at 410-207-2598 for a free consultation. Former COO Of Montgomery County Department Of Economic Development Pleads Guilty To Federal Wire Fraud And Tax Charges For Embezzling More Than $6.7 Million In County Funds, justice.gov.